The Tribest Glass Personal Vacuum Blender takes everything that's great about their personal glass blender and adds health benefits of vacuum blending. 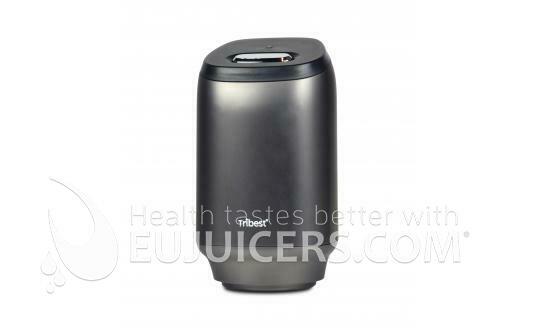 It comes with a 1200 ml glass vacuum jar and powerful electric vacuum pump. The pump attaches to the vacuum jar. 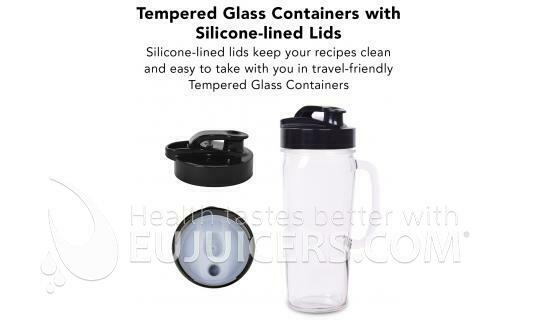 With one touch, it automatically removes the air from the jar. Not only does the vacuum dramatically reduce oxidation, it also causes ingredients to expand, resulting in smoother blending. 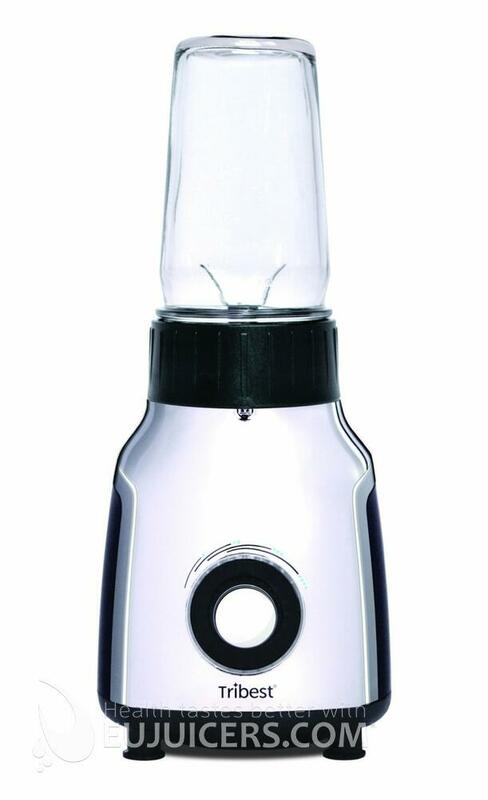 The Glass Personal Vacuum Blender is designed with ease of use in mind. 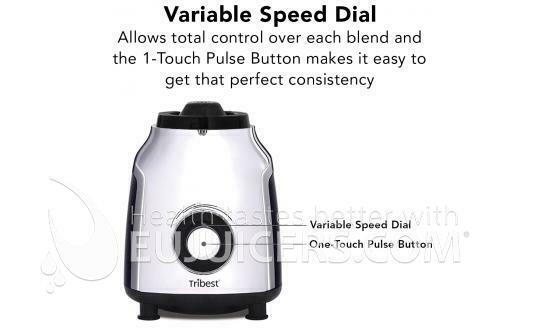 There are no complicated control panels or menus - just a simple variable speed dial. Just turn it to the desired speed until your recipe is ready. If you need a bit of extra control, just push in the dial for a quick pulse of power. 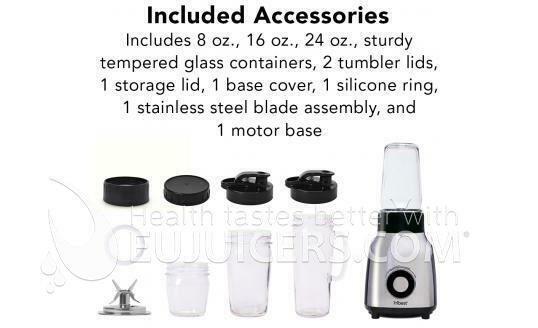 Unlike cheap department store blenders which use plastic gearing, the Tribest Glass Personal Vacuum Blender has a heavy duty stainless steel motor and blade clutch. 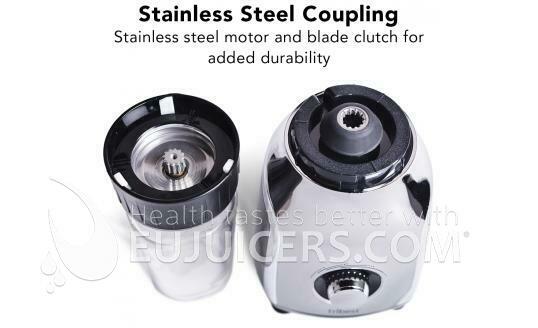 The 500-watt motor gives provides plenty of power for the toughest ingredients, and the stainless steel construction ensures that this is the last blender you will ever need.